"Most health outcomes did not seem to have differences between the non-sugar sweetener exposed and unexposed groups," concluded the team led by Joerg Meerpohl of the University of Freiburg. The quantity of non-sugar sweetener used didn't seem to matter, either, the team added. One nutritionist in the United States wasn't surprised by the findings. 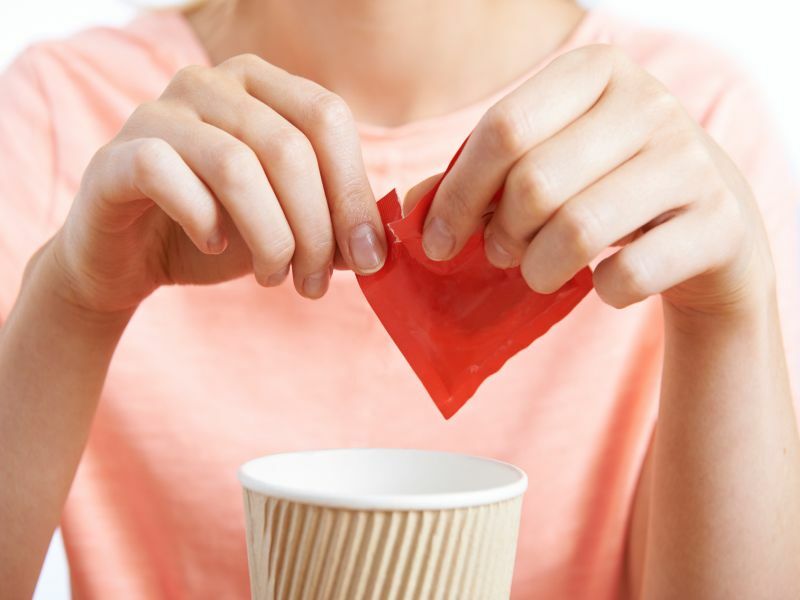 "No matter how they are marketed, [non-sugar sweeteners] are still chemicals or a sugar modified from its natural form to serve a functional purpose for flavor," said registered dietitian Sharon Zarabi. "There is no health benefit to flavor. Flavor merely enhances a food or beverage to increase consumption," said Zarabi, who directs the bariatric program at Lenox Hill Hospital in New York City. "Despite the authors' claims to the contrary, the highest quality scientific evidence shows that the consumption of low- and no-calorie sweeteners results in reductions in body weight, does not lead to weight gain and does not cause cravings," the Calorie Control Council said in a statement. The Council pointed to two prior large reviews -- published in the International Journal of Obesity and the American Journal of Clinical Nutrition -- that they say came to the opposite conclusion of the new German analysis. Meerpohl's team also did not rule out that non-sugar sweeteners might still show some benefit in future trials. They believe better, longer studies are needed to determine once and for all that these products are a safe and effective alternative to sugar. Zarabi said she's seen no help from calorie-free sweeteners in her practice, however, and even potential harm. "I work with a wide variety of patients with health ailments. I have those suffering with anorexia drinking Diet Coke all day unable to gain a pound, and obese diabetics drinking the same beverage with out-of-control blood sugar levels and difficulty losing weight," she said. "It's not specifically the diet soda (made with alternative sweeteners) that's responsible for their health outcomes, more so it's the other sources of calories and sugar," Zarabi said. "You must look at the whole diet and lifestyle to conclude any sufficient evidence of sugars, nutritive or not, and effect on disease."